​See all four seasons in a whole new light. 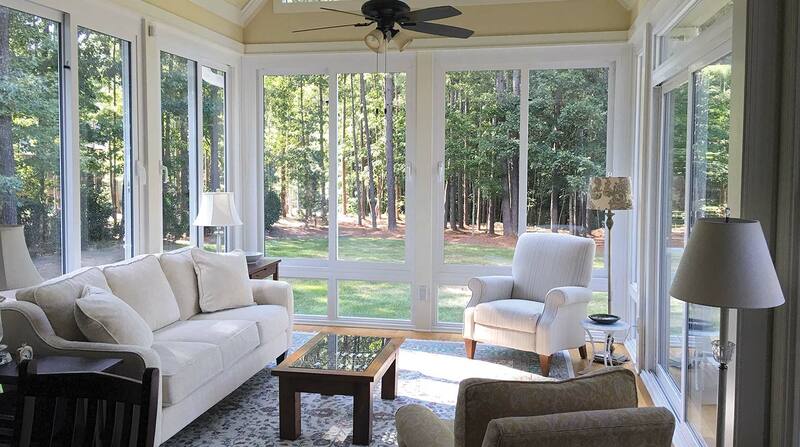 The seasons may change, but your mood will always be sunny as you soak up the beauty of nature from your Patio Enclosures four season sunroom every day of the year! 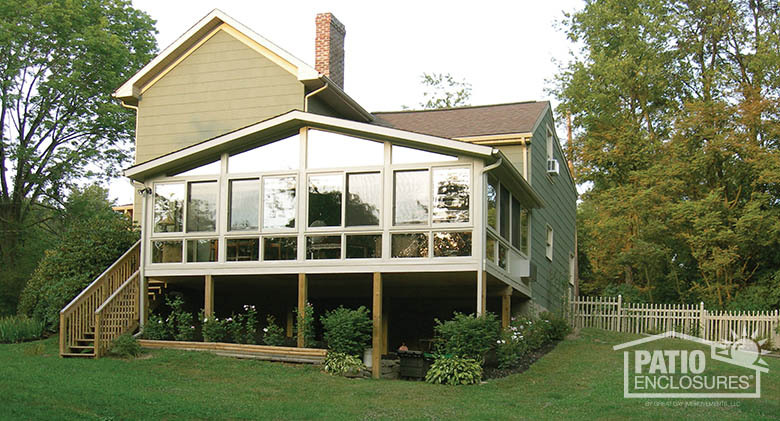 Custom designed and built to complement any home and provide additional living space year-round. 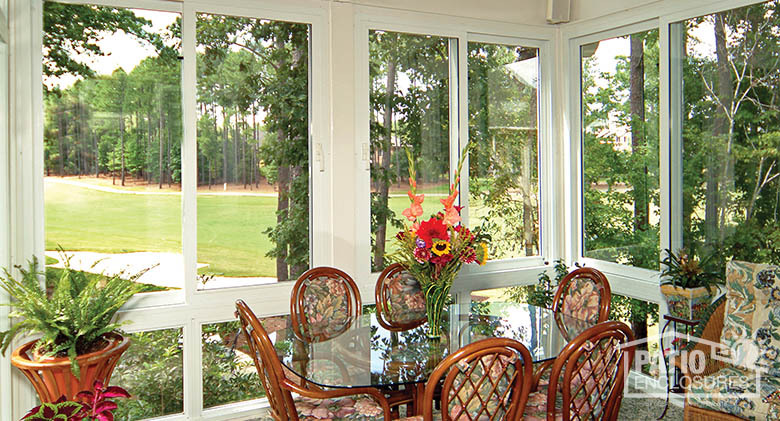 Patio Enclosures Four Season Room Four season white vinyl sunroom with wall-to-wall, floor-to-ceiling windows. 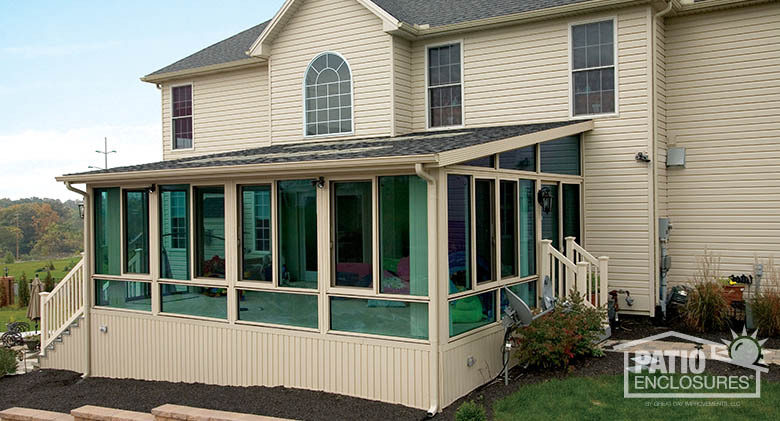 Patio Enclosures Four Season Room Four season aluminum sunroom in sandstone with gable roof, glass wings and solid knee wall. 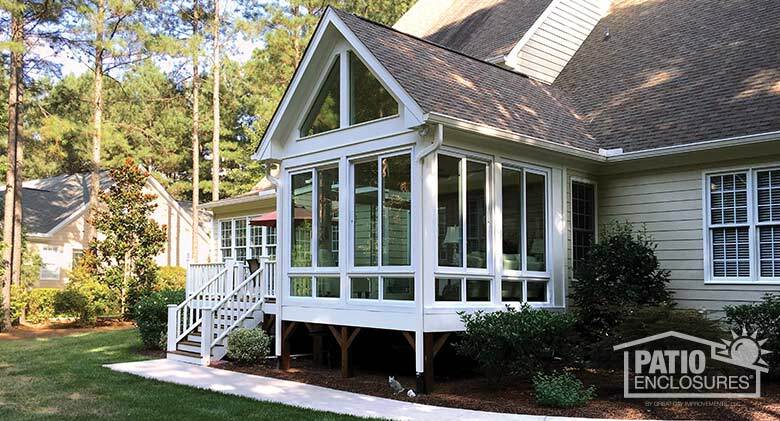 Patio Enclosures Four Season Room Four season vinyl sunroom in white with shingled gable roof with glass wings and glass knee wall. 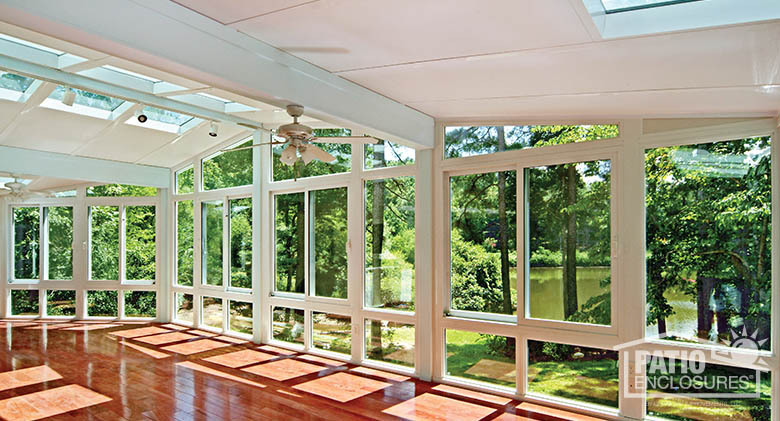 Patio Enclosures Four Season Room White, four season aluminum sunroom with glass wings in a gabled roof. 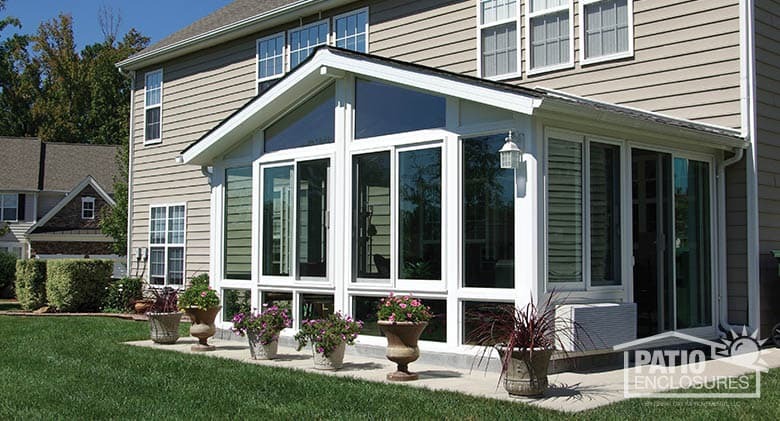 Patio Enclosures Four Season Room White four season aluminum sunroom features gable roof with glass wings and solid knee wall. 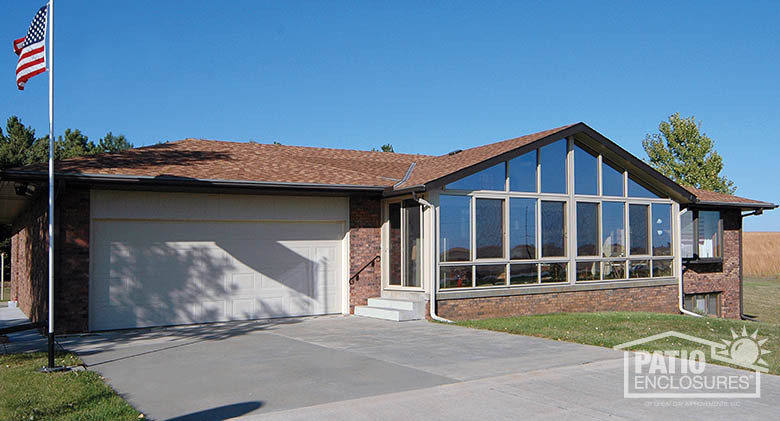 Patio Enclosures Four Season Room Four season aluminum sunroom in sandstone with gable roof, glass wings, and glass knee wall. 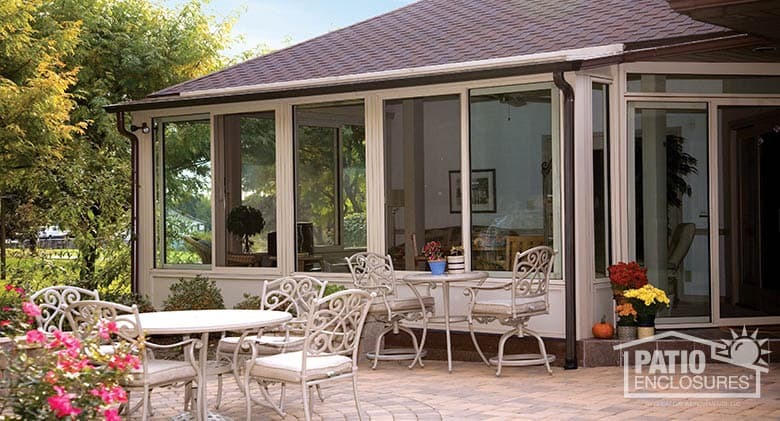 Patio Enclosures Four Season Room Four season aluminum sunroom in sandstone with shingled single-slope roof and solid knee wall. 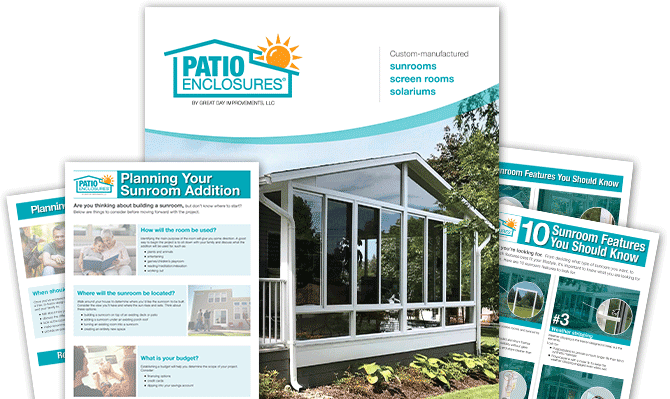 Patio Enclosures Four Season Room Four season aluminum sunroom in sandstone with shingled, single-slope roof, glass wings and glass knee wall. 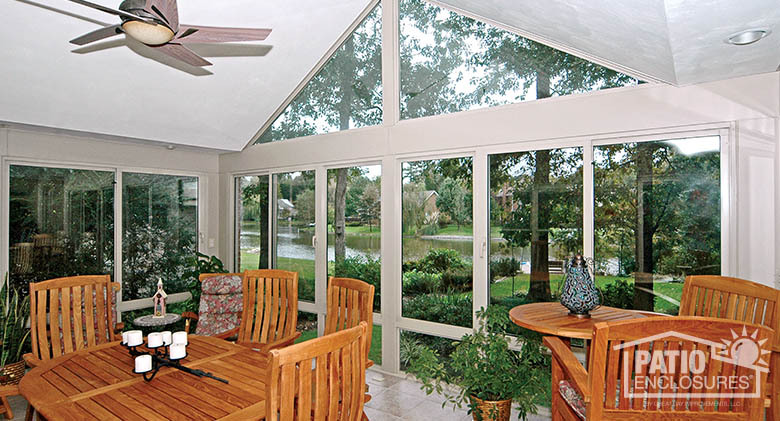 Patio Enclosures Four Season Room Built on the second level, this white four season aluminum sunroom has a single-slope roof and features glass wings, glass knee wall and transoms. 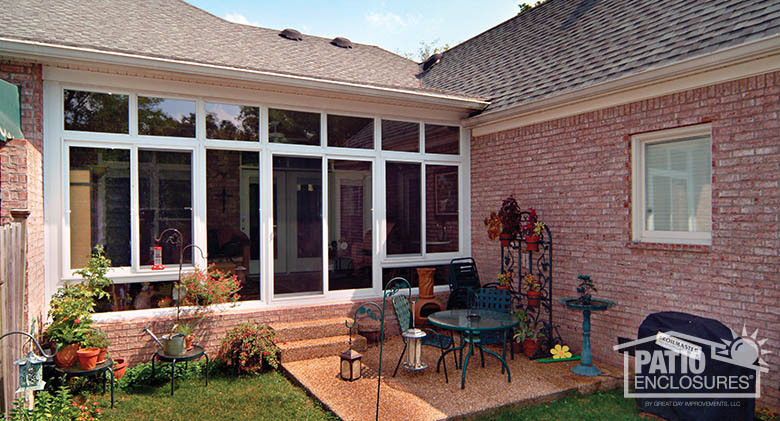 Patio Enclosures Four Season Room White four season vinyl sunroom with glass roof panels in gable roof, glass wings and solid knee wall. 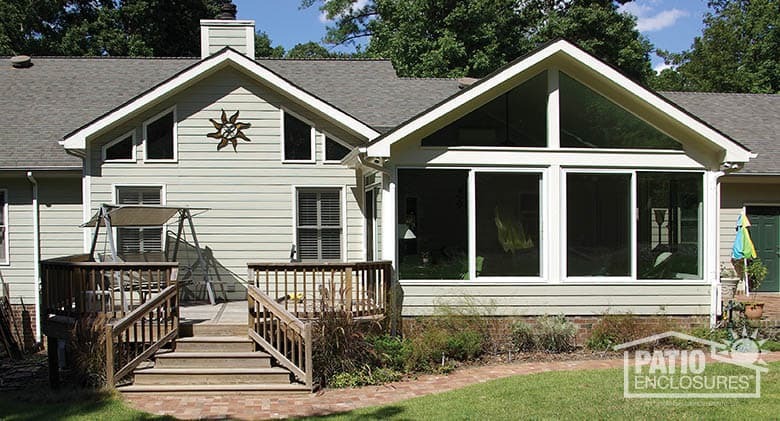 Patio Enclosures Four Season Room Vinyl four season sunroom in white with shingled gable roof, glass wings and transoms. 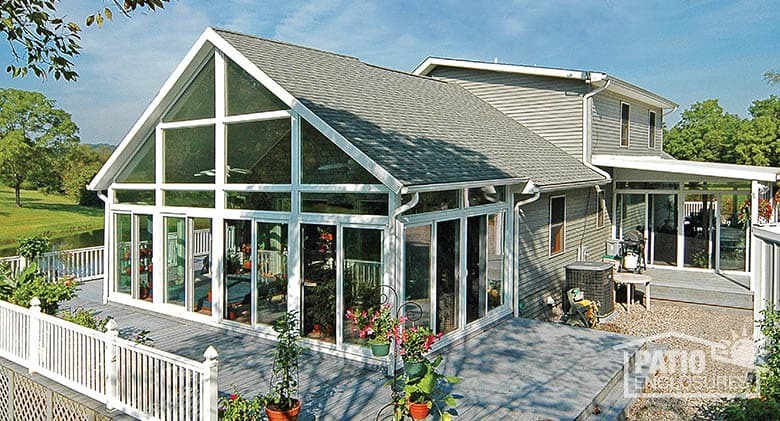 Patio Enclosures Four Season Room Four season vinyl sunroom with glass wings in gable roof, and glass knee wall. 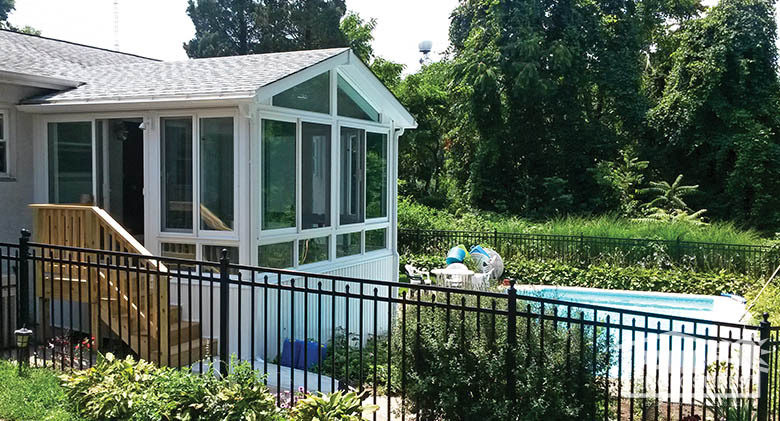 Patio Enclosures Four Season Room Four season vinyl sunroom in white with gable roof, glass wings, and glass knee wall is built on the second level to overlook the pool. 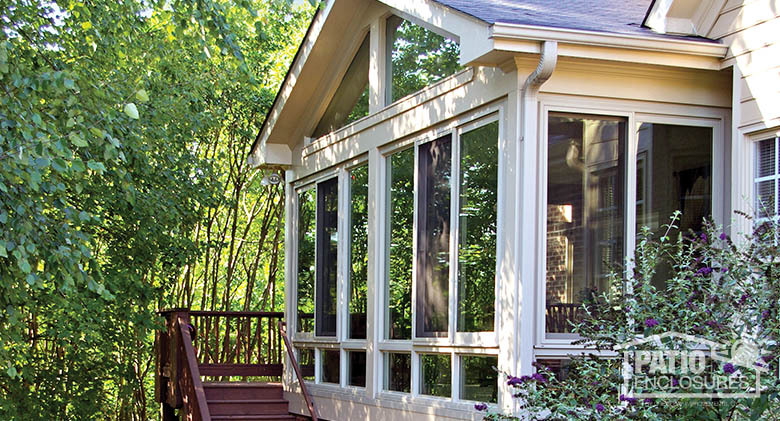 Patio Enclosures Four Season Room Expansive views from this second-story vinyl sunroom in sandstone with glass wings and glass knee wall. 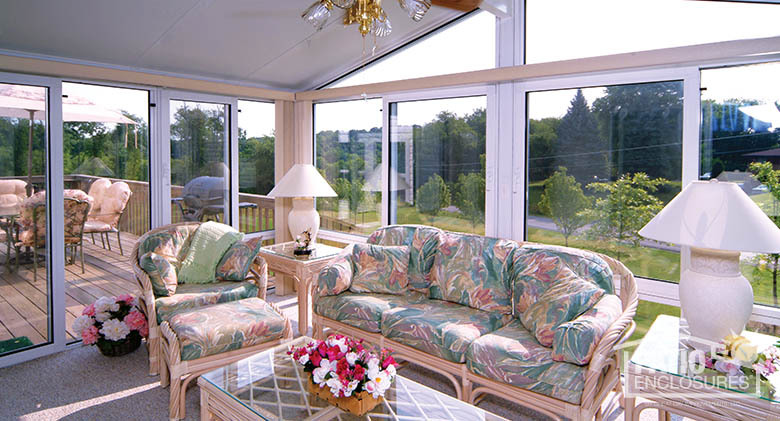 Patio Enclosures Four Season Room Golf course views abound in this vinyl four season sunroom with gable roof and glass knee wall. 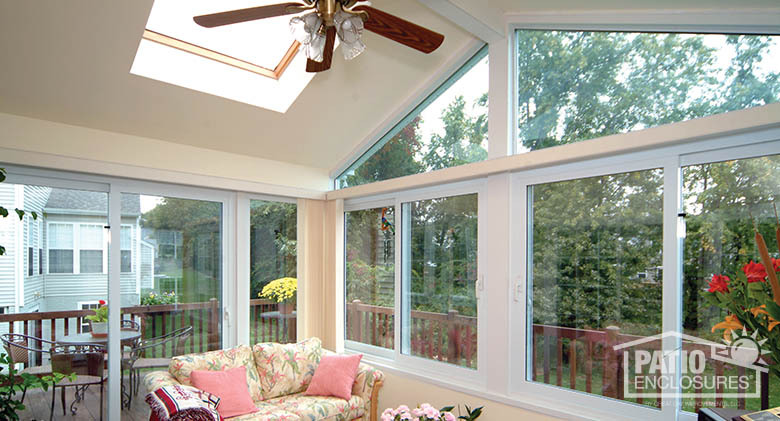 Patio Enclosures Four Season Room Natural light fills this white vinyl four season sunroom with glass roof panels, gable roof, glass wings and glass knee wall. 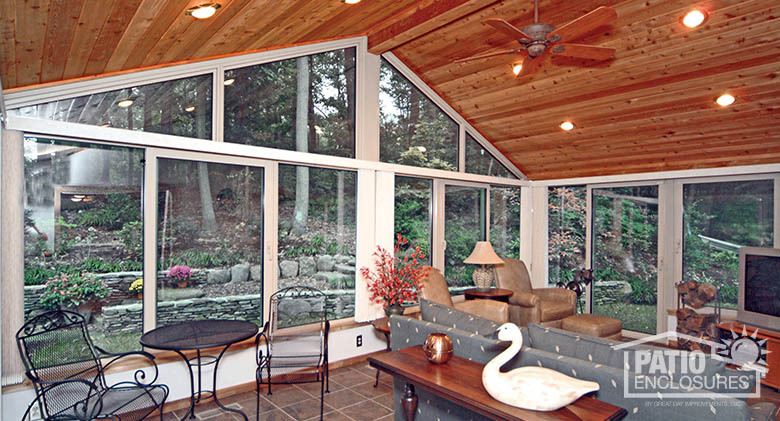 Patio Enclosures Four Season Room Floor-to-ceiling windows provide expansive views from this vinyl four season sunroom in sandstone with glass wings and glass knee wall. 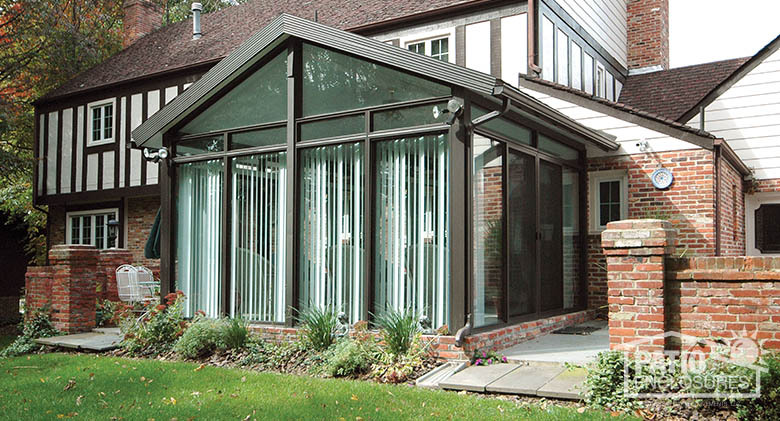 Patio Enclosures Four Season Room Four season vinyl sunroom in sandstone with glass wings in single-slope roof and glass knee wall. 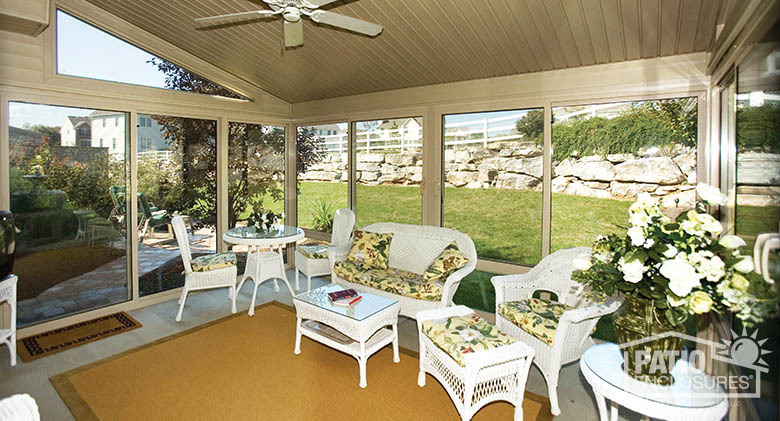 Patio Enclosures Four Season Room Curb appeal and year-round comfort in this aluminum four season sunroom in sandstone. 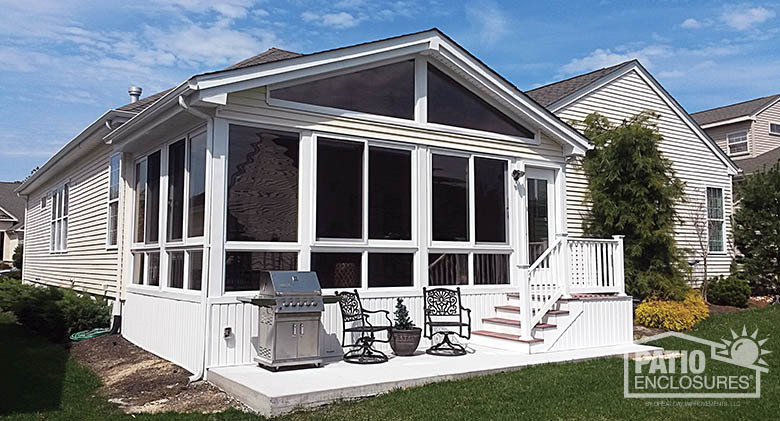 Patio Enclosures Four Season Room A breezeway enclosed with a four season vinyl sunroom in white with transoms and glass knee wall. 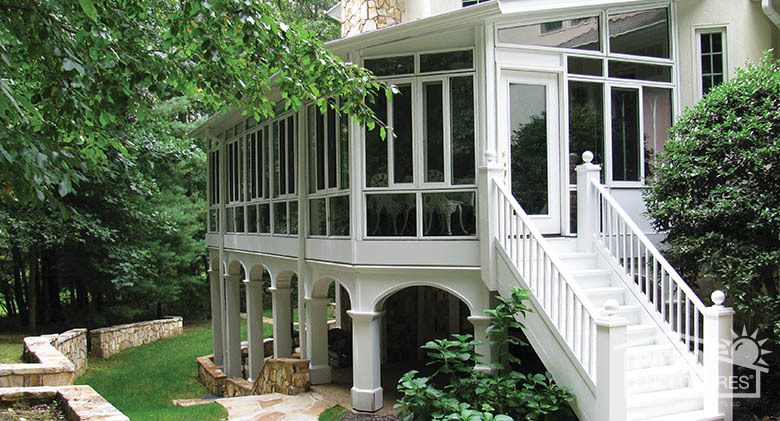 Patio Enclosures Four Season Room Four season aluminum sunroom in bronze with gable roof, glass wings and transoms.